The fastest and safest way to get to the Uruguayan coasts is leaving from the ferry terminals of Darsena Norte and Darsena Sur in Puerto Madero, Buenos Aires. Although Buquebus is the leading ferry company in Argentina and Uruguay, there are also other cheaper options, such as Seacat and Colonia Express. The company Buquebus has a large and modern ferry terminal at the beginning of the North Darsena that shares with the company Seacat, so it is not very difficult to approach there walking, by taxi or bus. 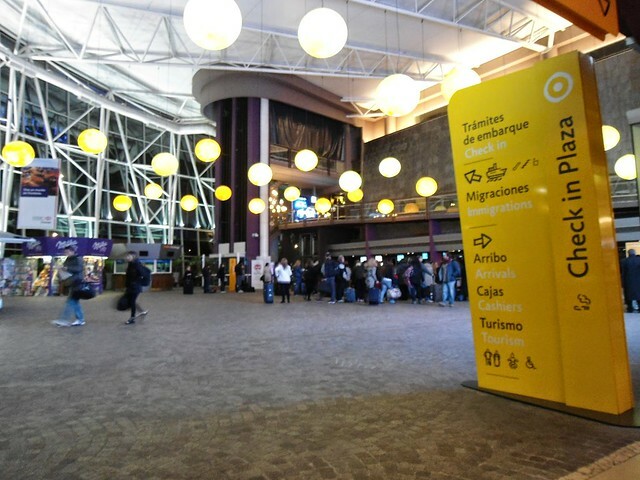 Regarding to Colonia Express, the terminal is located in the South Darsena, a few steps from the Casino of Puerto Madero. The boarding and disembarking process is similar than an airport, you must show your passport, go through customs and check-in until 20 minutes before the departure of the ship. The difference here is that there is no charge for luggage and there isn’t a serious control of it. 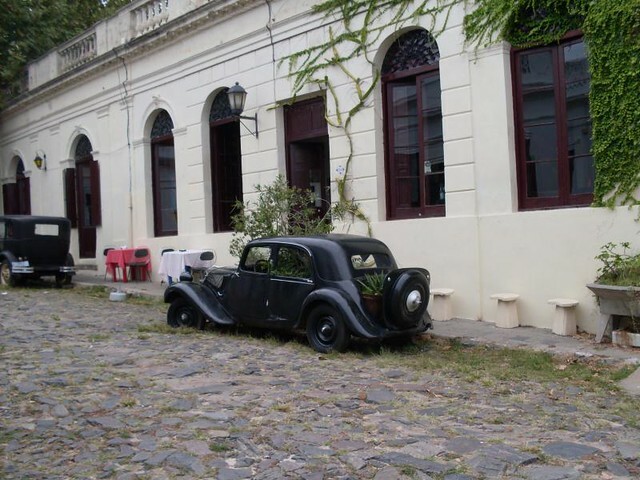 Speedboat, with capacity for 450 passengers arrives in Colonia Uruguay in 1 hour and a half; while the ferry with twice the capacity is a little bit slower and takes about 3 hours to Colonia and 5 hours to the Uruguayan Capital, Montevideo. The best recommendation if you want to experiment and if you have time, is to combine one way with one boat and return with the other. As expected, the cost of the speedboat is a more expensive but compensates the cost if you don’t have enough time. Something no less important to mention is that on the ship you can buy food since the catering service is not included in the ticket. Needless to say, the ship also carries vehicles at extra cost. 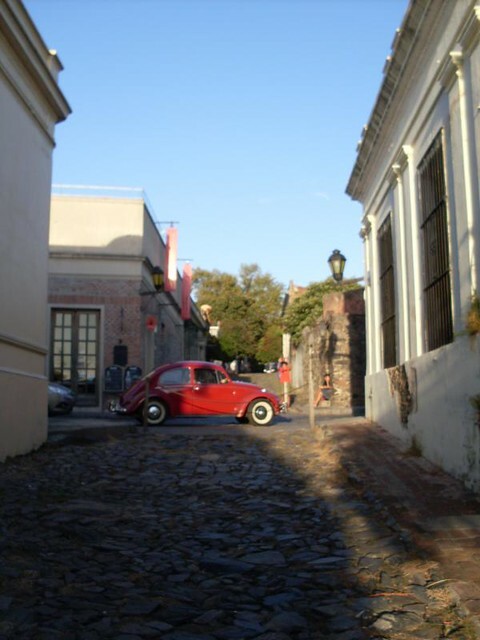 Colonia is a small city but very picturesque and interesting; its historical centre located a step away from the ferry terminal was declared a World Heritage Site by UNESCO and you can visit everything in less than 2 hours so tourists usually go back and forth in the day or they spend a weekend in Colonia. 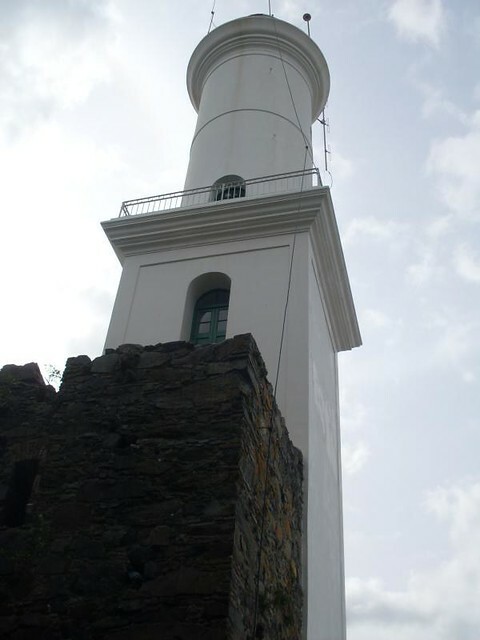 In few blocks within the historical centre you can visit cobbled streets, Spanish-Portuguese constructions from the past, the fort, the lighthouse and a good offer of bars and local gastronomy. If you want to venture a bit further to the outside of the conventional tourist circuit you can visit “La Plaza de Toros” or “bullring“, about 3 kms from the historic centre. Although the name sounds like a typical Spanish bullring, the true is it has never served for that purpose and nowadays it an abandoned and in danger of collapse complex. for getting there I rented a bike in a square in the centre of Colonia which is also convenient and economical to travel through the coast. 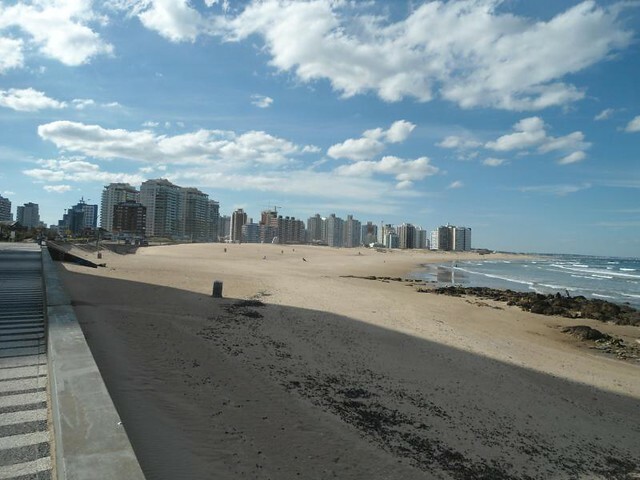 There aren’t direct ferries from Punta del Este, you must buy the ticket to Montevideo and then there is a bus service for an extra cost. 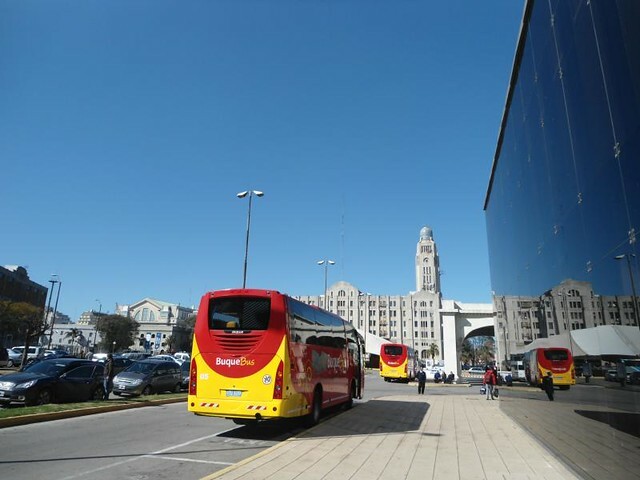 Another option are buses of different companies from the Montevideo terminal with connection Puerto Ballena. 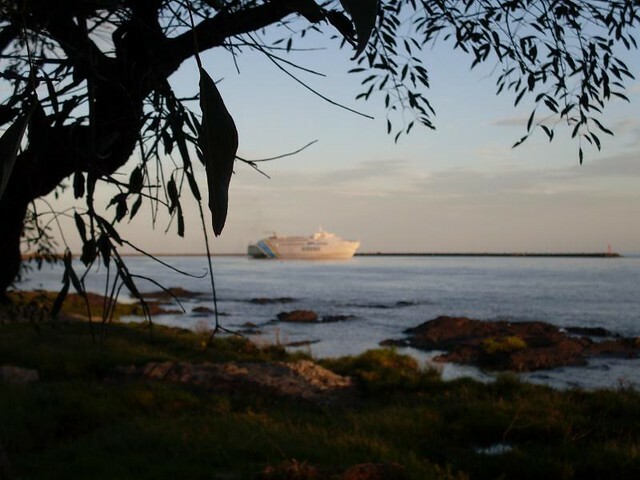 Another cheaper and less glamorous alternative to reach the Uruguayan coasts is to use boats or ferries from the company Caccola that leave from the Tigre terminal. The problem of this option is that the terminal is far from city centre; approximately 35kms away. 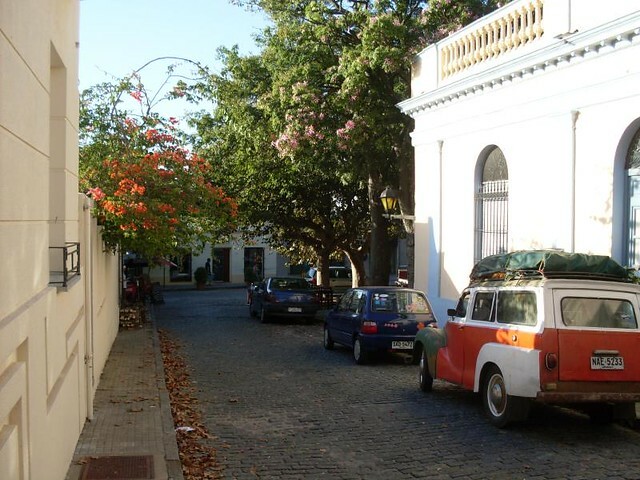 The route is limited to Carmelo which is a small city on the coast of the Rio de la Plata from which you can buy a bus ticket to Montevideo and combine with the ferry from the company Caccola. The bus frequency is relatively good if you leave Buenos Aires from Retiro terminal to any of the cities mentioned above, although you have to check previously the state of the bridges, international buses and tension in the area before venturing to cross. If you leave from Buenos Aires and you want to cross to Uruguay by bus you can do it by the Libertador San Martín bridge that connects the city of Gualeguaychú with Fray Bentos. 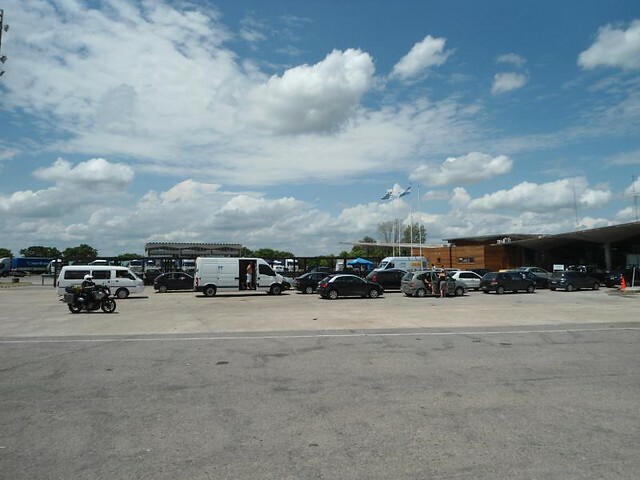 The buses depart from the Retiro terminal with good frequency but you need to change in the city of Gualeguaychú. 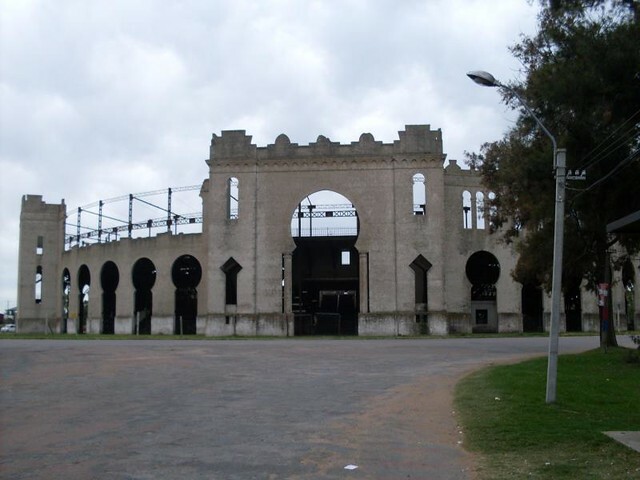 To get to Paysandú from Buenos Aires you must first get to Colón Entre Ríos or Concepción del Uruguay in Argentina from the Retiro terminal and then change with an international bus from the company Rio Uruguay or Coopay to be able to cross General José Gervasio Artigas’ Bridge. 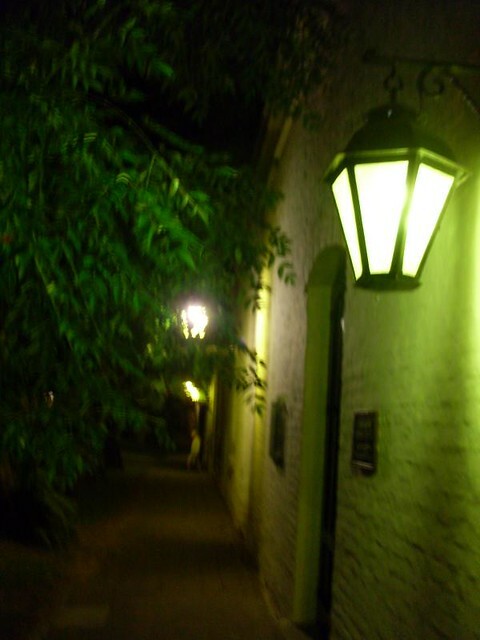 To get to Salto in Uruguay from Buenos Aires you can do it with a direct night bus from the company Flecha Bus or if you do not want to travel at night the best option is from the Retiro terminal in Buenos Aires to the city of Concordia, Entre Ríos. 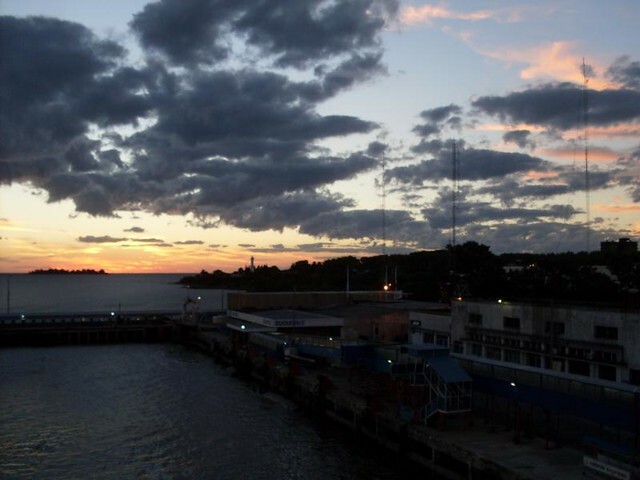 There are two ways for getting the city of Salto from Concordia, Entre Ríos: The first option is via Ferry and second option is by an international bus crossing the Salto Grande bridge. 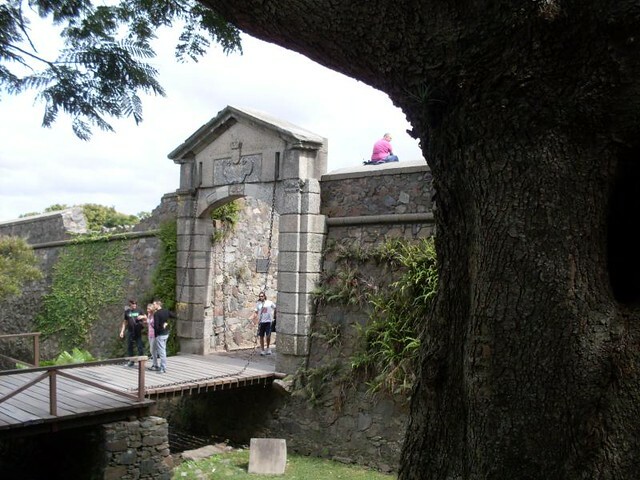 By bus: It takes an hour to cross the bridge with Flecha Bus. There are 2 frequencies a day. 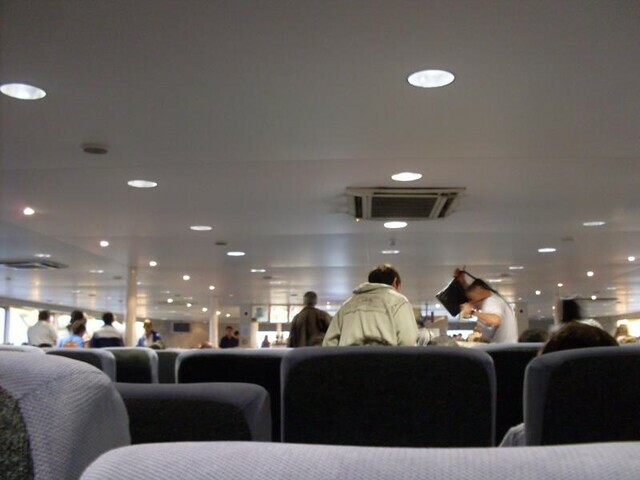 By ferry: It is a boat for several passengers with 2 to 4 frequencies by day.